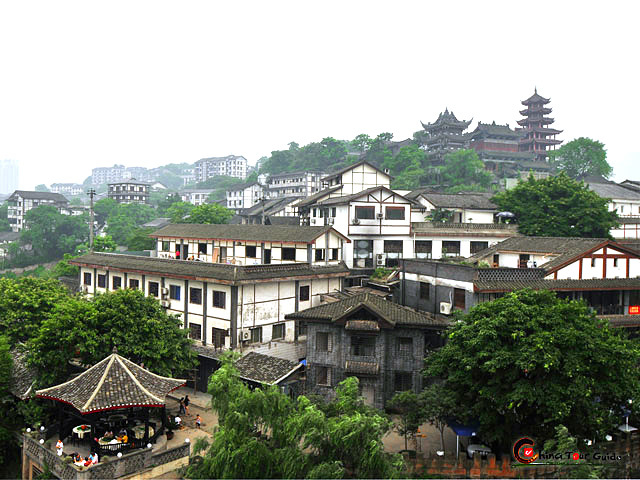 The overview of the Ciqikou Old Town. All price listed are in USD. -- Deluxe hotels are 5 star, superior hotels are 4 star and tourist hotels are 3 star. -- Meals as mentioned in the itinerary "B" stands for American breakfast, "L" for Chinese Lunch in local restaurant. "D" for Chinese dinner in local restaurant. 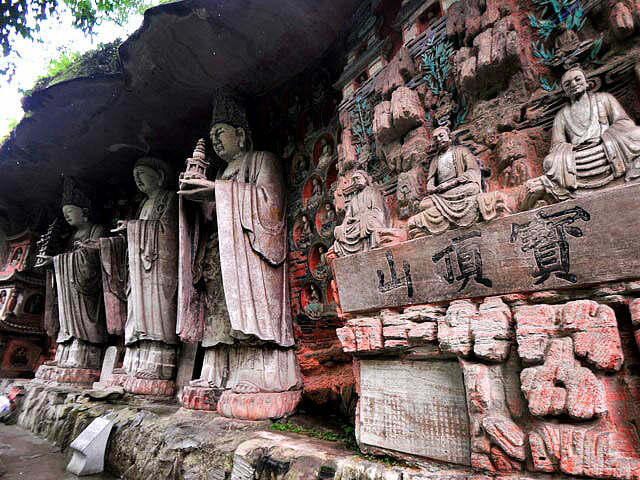 Arrive in Chongqing, visit Ciqikou Old Town, taste a local famous hot pot dinner. This lively old area has been partly restored, and remains an authentic and busy community. The old wooden houses and narrow streets furthest from the river are mostly unimproved, closer to the river there are craft and souvenir shops, teahouses and music, and lots of local food and snacks. 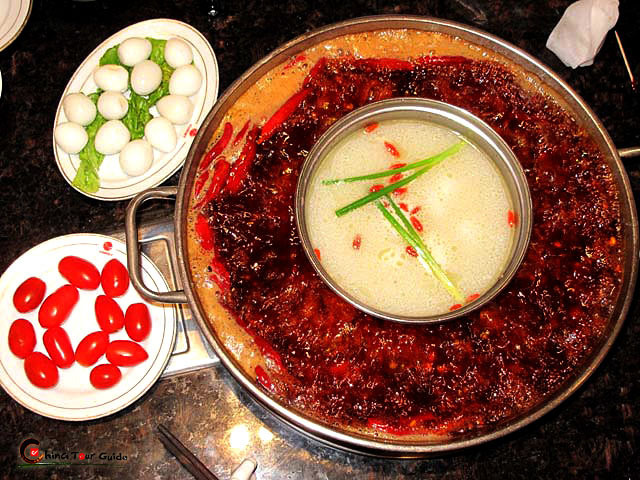 Hotpot, called huoguo, or "firepot" in Chinese is one of Chongqing's claims to fame. 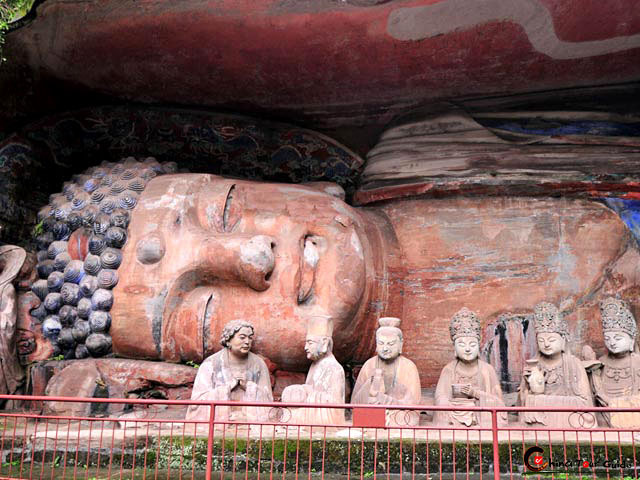 Visit Dazu Rock Carvings in the outside of Chongqing downtown. 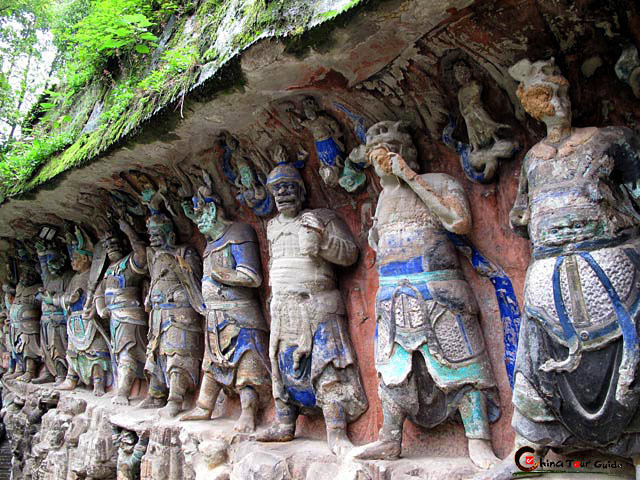 Dazu Rock Carving: The Dazu Rock Carvings are a series of Chinese religious sculptures and carvings depicting and influenced by Buddhist, Confucian and Taoist beliefs.